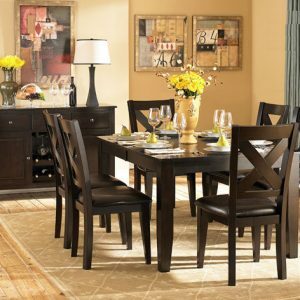 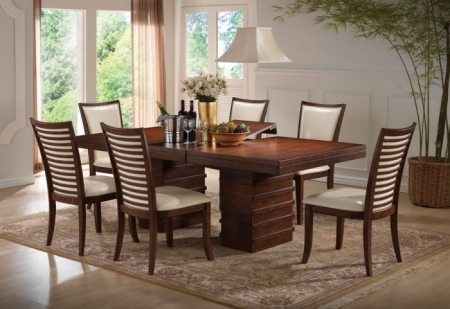 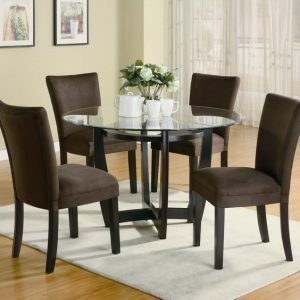 The pacifica transitional dining collection reflects both style and comfort. 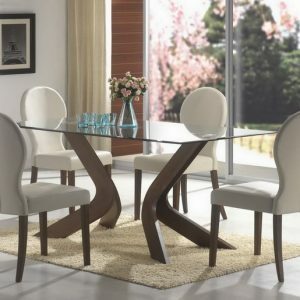 The style is double pedestal-ribbed base with 3″ thick-staked top, and carefully selected cherry veneer throughout collection. 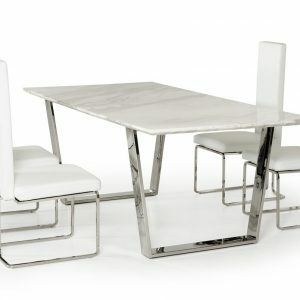 The chairs reflect ladder-back design with leatherette chairs.